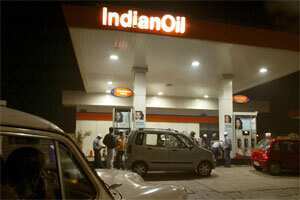 New Delhi: State-run Indian Oil Corp has emerged as the country’s biggest company in terms of annual revenue, followed by Mukesh Ambani-led private sector giant Reliance Industries at the second place, as per an annual list of Fortune 500 companies in India. All the 500 firms together recorded a collective turnover of ₹ 45,79,911.38 crore in the latest financial year. Indian Oil Corp (IOC) was the biggest with annual revenue of ₹ 3,23,113.12 crore, followed by Reliance Industries (RIL) with a full-year revenue of ₹ 2,72,923.36 crore. Both IOC and RIL have retained their top-two ranks from the previous year, Fortune India said. In this year’s list, the two are followed by Bharat Petroleum (Rs 1,56,580.12 crore) at the third and State Bank of India (Rs 1,47,843.92 crore) at the fourth place. Other entities in the list are Hindustan Petroleum (5th rank), Tata Motors (6), Oil & Natural Gas Corp (7), Tata Steel (8), Hindalco Industries (9) and Coal India (10). There are as many as six state-run companies in the top-ten positions, as against four from the private sector. The magazine said that the total sales of the country’s 500 top corporations have grown by 21.5% from the last year, while their median growth has been even higher at about 25%. “The good news, however, is that many of the Fortune India 500 companies are now beginning to shape the world’s opinion of India for the better. And they may just be doing a better job than their Chinese counterparts," it added. However, Fortune India said, some hint of impending trouble can be seen in profit growth, which has fallen from 27.1% last year to 21.6% this year. “For most of the Fortune India 500 companies, erosion in profitability has been severe. This is evident from a low 6.4% profit growth for a median-sized Fortune India 500 company. “These could be early signals of a deterioration in financial ratios, with all sizes of companies reporting a slower growth in their networth and asset creation," Fortune India said about the list. Companies have been ranked by their latest annual audited total income for the financial year ending on or before 30 June, 2011. For the ranking, audited results declared before 31 October, 2011, have been used. Other companies in the list include ICICI Bank (12th spot), Bharti Airtel (13), Essar Oil (15), Bharat Heavy Electricals Ltd (17), Infosys (27), Reliance Communications (35) and Tata Power (40).